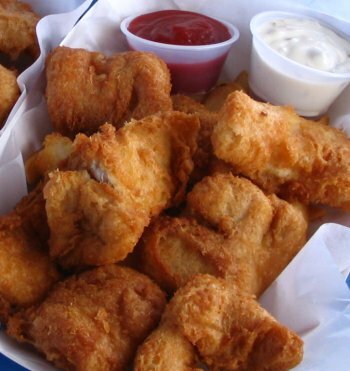 Firm chunks of Albacore tuna lightly beer battered and fried to perfection by Ron and Linda, they stand ready to soak up malt vinegar and scoop tartar sauce. The bed of thick steak fries, crunchy outside and tender inside, are much more than a side dish. Our Twitter feed always has the latest hours! Located across from the Columbia River Maritime Museum, in the converted gillnet boat.